Arthur Ganson is a mechanical engineer by trade and a kinetic sculptor at heart. 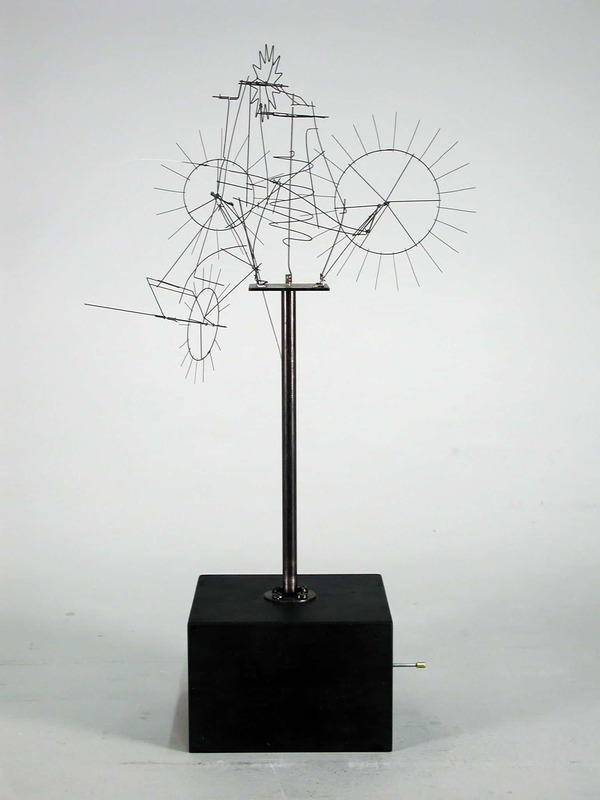 His mechanized devices spur up spirit from cogs and wires, as his sculptures move with subtlety and grace, often in a chain reaction of energy à la Rube Goldberg. His creations are rooted inside deep philosophical concepts, but at the same time shine with an unparalleled dash of humor – a small reminder not to take life too serious. 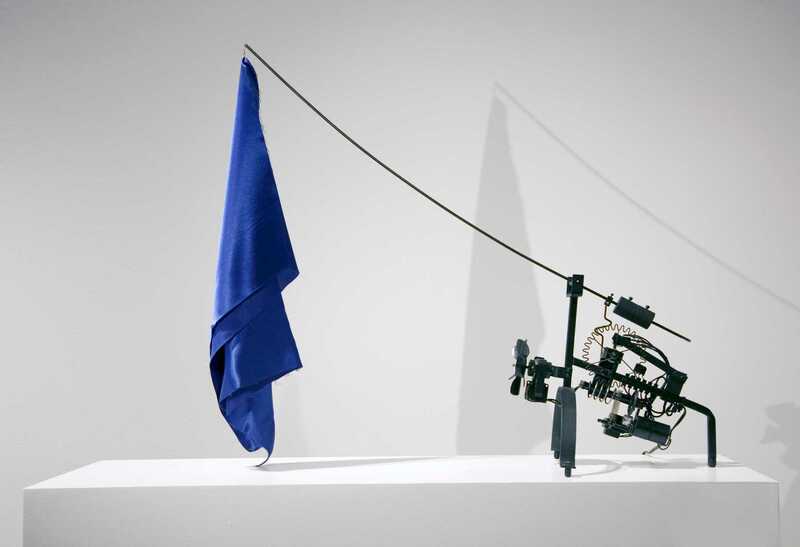 Arthur Ganson’s art is by all means impressive, and there is no way of understanding this other than taking a remote glimpse upon these kinetic contraptions for yourself. Outlined below you’ll find some of these amazing sculptures, some decades old, alongside a brief interview with the former artist in residence at MIT himself, who was kind enough to answer some of my questions. ZME Science: The first sense I got while watching one of your sculptures was amazement. It’s quite ordinary for such a natural emotion to surface whenever you’re granted to see an animated wishbone seemingly tract its own mechanical life force. Soon after though, one begins to notice other things too. You get fascinated, seduced by it – it all feels like poetry. I can only wonder then what stream of emotions go past you, as the creator, as you go through various stages of completion before finally seeing it in motion. What’s it like? ZME Science: The intricate mechanisms that you employ in your art can be viewed by many as complex, however some I’ve seen, as I did my research, believe there are many redundant parts to it. How do you believe the Rube Goldberg machine-esque approach to your mechanisms aids in amplifying the sentiment surrounding the sculpture? Arthur Ganson: There are no un-necessary parts to the machines. Every part is there for a reason. I loved looking at Rube Goldberg drawings when I was a kid, and now his name is synonymous with absurdly complicated systems that do something very simple. I guess in one sense that’s partly true with some of my machines, but the impulse for me is not to be needlessly complex for the fun of it. When I started I was making things way more complex than necessary, but now I think I’m getting more simple and bringing things down to the essence. If they come across as rube goldbergesque is more because the observer doesn’t understand the machine. All aspects of the way something is built and exists in space will effect the nature of how it speaks emotionally. All decisions speak to the state of being of the creator. ZME Science: Much of your art seems to come to life, as various gears or wires twitch and turn in a chain of events that describe a sublime motion. This all seems so very precise, so intricate – I can only imagine the amount of time and patience you must dedicate. How do you come about building it piece by piece, aligning each part together with utmost accuracy? Do you start from somewhere and then just improvise along the way or do you work at a plan before starting, like computing, sketching and such? Arthur Ganson: I usually start the work in my mind and then move to very general sketches that help me to visualize the overall proportions and mechanical systems and relationships. I rarely work by just starting somewhere and seeing where I end up- it’s not in my nature and usually the piece necessitates a good degree of thought in order to solve the real mechanical issues. However, nothing is a rule! Some of the fragile machines are pretty free in their evolution. Working with wire does not require a high degree of accuracy. Actually, it’s the place where I can be the most relaxed. The fragile wire pieces are the closest to oil painting that I can come. Here, I’ll create a staring point and have only a general sense of how the machine will fill space. If there is no particular mechanical problem to solve and the piece just has to move, that’s very open-ended. 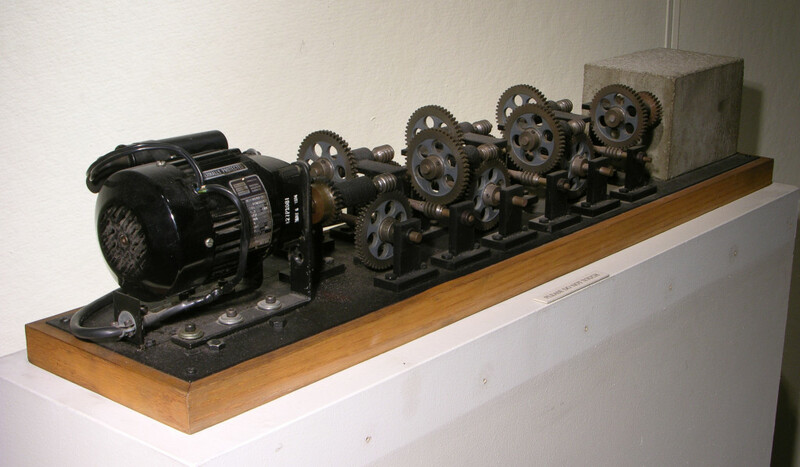 Machine with Concrete - .a device made out of 12 pairs of 50-to-one reduction gears, meaning the final speed of that gear on the end is so slow that it would take two trillion years to turn once. ZME Science: On the same subject, how does the process behind your art creation looks like? I’ve noticed that you’ve went to the extent of making your own tools for the custom work and that many of your parts are from various abandon mechanical objects. What’s your take on the objects you later use as components? Arthur Ganson: There is much invention in the process and often it has to do with jigs and tools to make the piece. Currently I’m working on a new version of Cory’s Yellow Chair and I’m working on all kinds of jigs that will allow me to make gears with more conventional teeth- because this piece requires this in order to move properly. This is a situation in which the wire gears won’t translate power properly and the essence of the piece is it’s movement. I’m able to incorporate found objects sometimes, but I don’t have any particular take on it. Sometimes the piece is built around a found object, but I generally don’t work in a way where I’m collected a bunch of things and then try to assemble the mass into something. 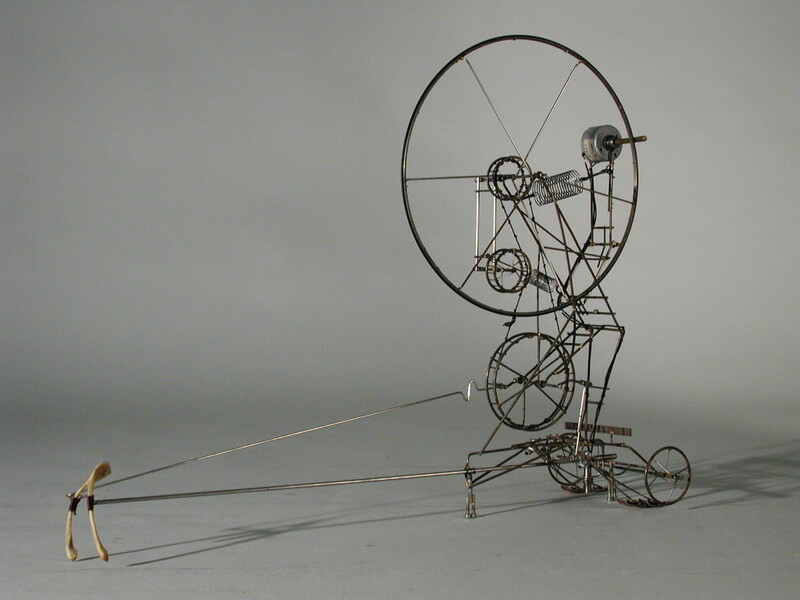 For more videos of Arthur Ganson’s kinetic sculptures visit his website.